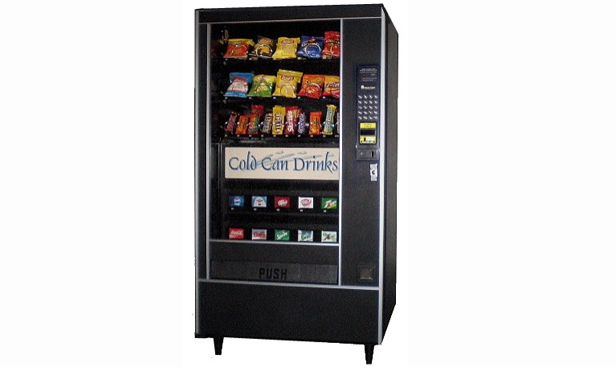 It's the compact size of our machines that get you into good money-making locations and help you build a thriving vending business. History In a recent nationwide survey, VENDING TIMES MAGAZINE stated, "Last year, over $42,000,000,000 was spent in vending machines in this country. Over 70% of that ($29,000,000,000) was spent on snacks and canned & bottled cold drinks!" And it's the compact size of our machines that get you into good money-making locations that have always wanted vending equipment but have never had enough space for the "big machines." & Services It is also important to realize that we are a member of the Better Business Bureau of Metropolitan Dallas and have never had a single complaint. Whether you decide to do business with our company or not, do yourself a big favor - don't do business with any vending company that cannot prove they are a member of their local Better Business Bureau. Investment Total Investment Required: $2,995 - $22,975. etc. Recently, Vending Times Magazine, the largest and oldest trade publication in the vending industry, published its 55th Annual Census of the industry. The census established the fact that locations where both snacks and drinks (cans and bottles) were available to the consumer made a yearly net profit of $8,010.60*. (Drink sales accounted for $4,680 in net profit and snack sales accounted for $3,330.60 in net profit). At $8,010.60 per year/per machine, 3 or 4 combos will give you a very nice part-time income and only take about 3-4 hours a week of your spare time to do the re-stocking.